More than 100 Augsburg University undergraduate students were named to the 2017 Summer Semester Dean’s List. 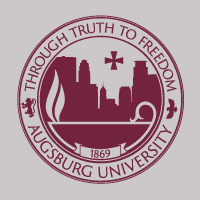 The Augsburg University Dean’s List recognizes those full-time students who have achieved a grade point average of 3.50 or higher and those part-time students who have achieved a grade point average of 3.75 or higher in a given term. View the 2017 Summer Semester Dean’s List. Students who wish to notify their hometown newspapers of their achievement can do so at their discretion using a news announcement template. More than 900 Augsburg College undergraduate students were named to the 2017 Spring Semester Dean’s List. 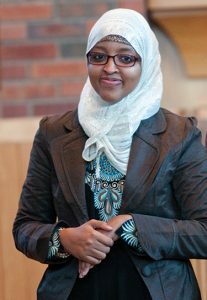 The Augsburg College Dean’s List recognizes those full-time students who have achieved a grade point average of 3.50 or higher and those part-time students who have achieved a grade point average of 3.75 or higher in a given term. View the 2017 Spring Semester Dean’s List. Augsburg College undergraduate students were named to the 2016 Fall Semester Dean’s List. The Augsburg College Dean’s List recognizes those full-time students who have achieved a grade point average of 3.50 or higher and those part-time students who have achieved a grade point average of 3.75 or higher in a given term. View the 2016 Fall Semester Dean’s List. Students who wish to notify their hometown newspapers of their achievement can do so at their discretion. View the hometown news announcement. More than 100 Augsburg College undergraduate students were named to the 2016 Summer Semester Dean’s List. The Augsburg College Dean’s List recognizes those full-time students who have achieved a grade point average of 3.50 or higher and those part-time students who have achieved a grade point average of 3.75 or higher in a given term. View the 2016 Summer Semester Dean’s List. 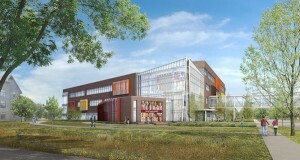 Stop by the Augsburg College booth in the Education Building at the Great Minnesota Get-Together. The fair runs August 25 through Labor Day, Sept. 5. Nearly 900 Augsburg College undergraduate students were named to the 2016 Spring Semester Dean’s List. The Augsburg College Dean’s List recognizes those full-time students who have achieved a grade point average of 3.50 or higher and those part-time students who have achieved a grade point average of 3.75 or higher in a given term.